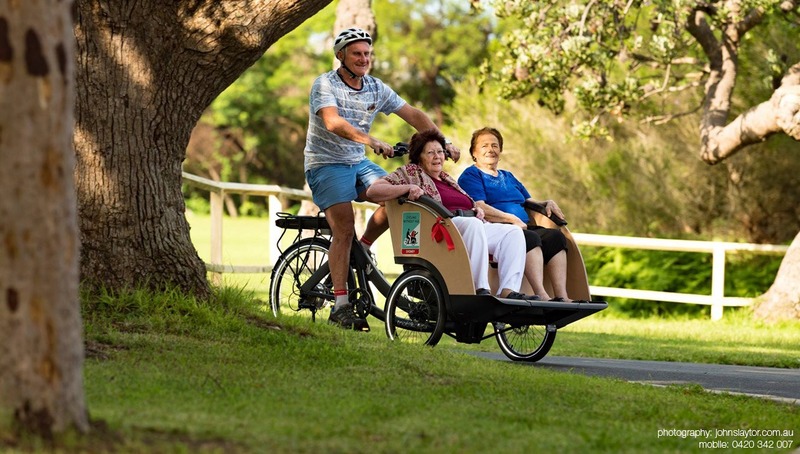 Cargocycles is supporting the Cycling Without Age initiative in Australia. 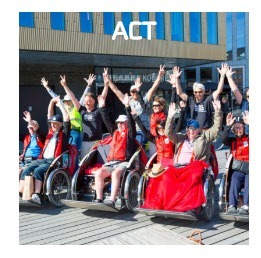 Cycling Without Age(CWA) is a worldwide movement that started in Denmark in 2012 that has brought the joy of cycling to thousands of people of all ages and abilities. A lack of mobility is no longer an obstacle to getting around on a bike – everyone can enjoy the outdoors, the wind in their hair and the immeasurable lifestyle benefits that only a bike can provide. 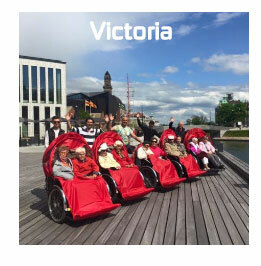 Volunteer ‘pilots’ (cyclists) can take two elderly passengers in specially designed rickshaw cargo bikes to local parks, scenic places or just down to the shops. Cycling Without Age is a free initiative and provides you with the network, the knowledge and the training to get started whether you are an individual, a family member of an elderly person, or work for a Council, municipality or nursing home. CWA is about creating a multitude of new relationships: between generations, among the elderly, between pilots and passengers, nursing homes employees and family members. Buy a TrioBike Taxi trishaw through Cargocycles. Several care homes around the country already have TrioBike Taxi Trishaws ready to take out their residents. 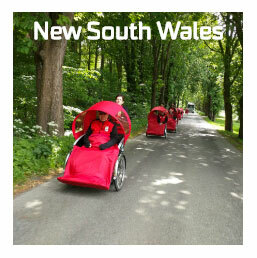 Contact us if you want to find out more or test out one of the trikes in our store. Cargocycles can arrange to ship a trishaw anywhere in Australia. 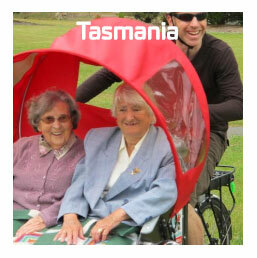 Learn more about Cycling Without Age here. 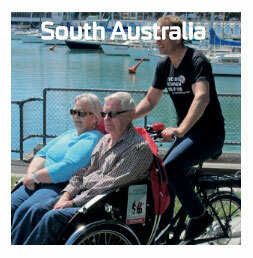 Check out the Cycling Without Age Australia chapters around Australia.